In this riveting psychological suspense debut, a young mother’s worst nightmare becomes shockingly real. I plowed through REMEMBER MIA, astounded with the gripping story, the horrendous acts and thoughts that filtered through the mother’s head, and knew I had to contact Alexandra Burt for an interview. At once hopeful and harrowing, this is a story that will have you reading well past your bedtime. Today, I am thrilled to welcome Ms. Burt to the blog couch. Pull up your favorite beverage and settle in. This is one you won’t want to miss. Leslie Lindsay: Thanks for being with us today, Alexandra! I so loved REMEMBER MIA. I’m always interested in what strikes an author when she sets pen to paper (or fingers to keyboard), what was it about Estelle’s story that captivated you, propelling your novel? Alexandra Burt: I’m delighted to be here and thank you so much for reading REMEMBER MIA. Estelle’s story stewed in my head for many years before I actually put words on paper. I worked as a freelance translator after my daughter was born and when my dream of literary translations didn’t pan out, I decided to tell my own stories. I enrolled in writing classes but concentrated mainly on short stories. Eventually I signed up for a novel writing class and on the first day of class I was asked to post twenty-five pages. Needless to say, I hadn’t written a single word. So later that night, a sentence popped into my head; “Tell me about your daughter.” I imagined a woman, ravaged by postpartum depression, being confronted by a psychiatrist to unravel the ball of yarn that is the disappearance of her infant daughter. I personally was very close to the story; I had a rocky start with motherhood myself. I experienced nine months of nausea and a potentially life-threatening complication after childbirth. After that I just didn’t bounce back. I never thought it to be anything else than a personal failure. Once you’re enveloped in such a state of mind, it becomes increasingly difficult to ‘think’ your way out of it. It took me an entire year to feel remotely normal. L.L. : The story deals with the dark underbelly of new motherhood: the fact that infants are highly dependent on us for everything. Yet, fathers don’t exactly suffer from postpartum psychosis, it’s more of a female/mother thing (and rare at that)—the intricate high-jacking of hormones, and a variety of other factors. What, in your opinion is the most challenging aspect of being a new mother? Alexandra Burt: Motherhood comes easy to many women, yet many new moms struggle. There’s of course societal pressure to be a perfect mother and the assumption that women are biologically destined to fulfill that role. But is that really the case? The answer seems to be yes or our species would have ceased to exist long time ago but reality is much more sobering; women struggle with motherhood and when given a choice, they are giving more thought to having children and become mothers later in life than ever before, if at all, and more and more women have just one child. The lines are blurry, at best. The most challenging aspect of being a new mother is an amalgamation of changes; there’s not just the baby and the feeding and the constant attention, but motherhood goes hand in hand with other life changes; quitting a job to stay home full-time, financial struggles, switching to part-time positions, or just adding another huge responsibility to an already full plate that we all deal with on a day to day basis. There’s no other time quite like giving birth; we must completely step outside ourselves and care for a newborn entirely dependent on us. The role of a mother is something picture-perfect we have to live up to yet we constantly question it as if we don’t trust ourselves. It’s a hard spot to be in, for sure. Alexandra Burt: Baby blues is a biological response to rapidly changing hormone levels during a highly vulnerable period; there are lots of tears, irritability, impatience, restlessness, and anxiety. Add to that the constant feedings and diaper changes, the crying and spitting up, first fevers and many sleepless nights in a row. All those feelings are common during that period and are rather short lived. The baby blues affects up to 75% of new mothers but sometimes this emotional state lasts beyond a few weeks and can turn into a postpartum mood disorder. There’s postpartum panic/anxiety, postpartum obsessive/compulsive syndrome, and in the worst case, postpartum psychosis. Once you add the constant self-doubt and interrupted sleep turning into insomnia, and the baby blues can become a clinically depressed state. The switch can happen at any time; within days, over months, or even a year. Postpartum mood disorders are almost like baby blues kicked up a notch; mood swings, anxiety, sleep disturbances, feeling overall disconnected from the baby, a fear of losing control, and even suicidal thoughts. Some communities have local support groups and there are 800-numbers and online support groups available via the internet. There are hundreds of support coordinators who can put new mothers in contact with the help they need. Family support is crucial during this very fragile state, and of course mothers should seek medical help immediately if any postpartum mood disorder develops. L.L. : Kidnapping is a real fear and horrific crime, one I couldn’t even imagine as a mother. We see it in the media with girls gone missing for years, living out lives under the rule of a sadistic person, sometimes even having their children. How common is the crime? Can you put my mind at ease…I’m a mom, too. Alexandra Burt: Statistically I can put your mind at ease. According to the FBI, abductions of newborns/infants from birth to six months by strangers are really rare. From 1983 to present 300 infants were abducted. 12 are still missing. Once you look at cases of older children, the numbers gets fuzzy. Even though the official number of abductions is 800,000 per year, it includes family abductions, runaways, and abandoned children. Out of this staggering number only 115 were stereotypical stranger kidnappings. On one hand the number of abduction is overstated, on the other hand some police departments don’t always file reports for older children missing, considering them runaways. Since the 70s and 80s, there have been many advancements; Congress passed legislation that resulted in the creation of the National Center of Missing and Exploited Children database and we are all familiar with Amber Alerts popping up on cell phones and signs on highways. We shouldn’t worry about a potential abduction when it comes to our children but when the headlines pop up on TV, we all think this could be me. This could be my child. L.L. : Shifting gears a bit…what kind of writer are you—do you follow the pen, carefully outline and plot, or somewhere in the middle? 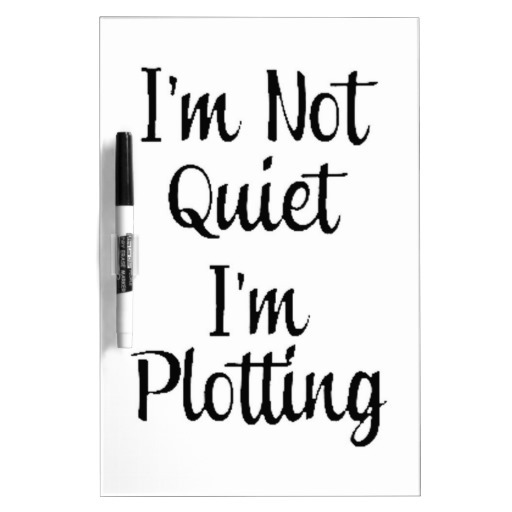 Alexandra Burt: I plot and outline on a large dry erase board. I’m a visual person; there are colors and arrows and numbers but don’t let that apparent order of things fool you; there’s also a mountain of random notes on my desk, a file on my phone of bits of conversations that I overheard at the market, in the gym, in random conversations. I think more in visual scenes and atmosphere than in words and plot elements. I don’t fight it, I nurture it. So as much as I try to be organized and outline and plot, a story usually takes on a life of its own. As it should be. L.L. : I understand you are a voracious reader. What are some of your favorite books and authors? C.S. Lewis’s ALICE’S ADVENTURES IN WONDERLAND play a role in REMEMBERING MIA. Can you speak to that, please? Alexandra Burt: Within the crime genre, there are the classics I love; Patricia Highsmith comes to mind, and Ruth Rendell. Contemporary crime fiction; Gillian Flynn and Tana French are always a sure bet. I also adore Jennifer McMahon and Erin Kelly. Outside the crime genre, Ursula Hegi and Louise Erdrich. Specific favorite books are Laird Koenig’s The Little Girl Who Lives Down the Lane and John Hart’s The Last Child. David Wroblewski’s The Story of Edgar Sawtelle and House of Sand and Fog by Andre Dubus III. As to Alice in Wonderland, the choice was serendipitous. The quotes in the book speak to Estelle’s emotional state and the proverbial rabbit hole started it off, no doubt. People say all the time “I’m not going down that rabbit hole with you,” but what if people don’t have a choice? It is definitely Estelle’s state of mind in Remember Mia, as everybody else’s in the novel; her husband, her psychiatrist, and even the media. Apart from the quotes and references in the book, similarities with Alice in Wonderland were completely unintentional yet here they are: There’s a pool of tears (just imagine not knowing where your child is); Alice running in circles (Estelle not being able to remember); the crowd hurling pebbles at Alice (the media judging her). Alice admitting to her identity crisis and her inability remembering a poem (amnesia); a tea party during which Alice becomes tired of being bombarded with riddles (therapy); and Alice arguing with the King and Queen of Hearts over the ridiculous proceedings, eventually refusing to hold her tongue (she won’t stop looking for the truth). It’s quite uncanny but I guess stranger things have happened, right? L.L. REMEMBERING MIA has a lot to do with obsession. Estelle just can’t rest till she finds her child. Totally understandable. I’d be a mess! What are you obsessing on these days? Alexandra Burt: Obsessions are a double-edged sword. Whatever I do, I do with an obsessive tendency so I have to force myself to take a step back and take a break. I read and write obsessively and it’s hard to escape. I therefore struggle to find balance in my life and I’m very conscious of achieving a well-adjusted state of being these days. As much as I want to get up every morning and write, I force myself to go to the gym or go for a hike. Meet friends for lunch or coffee. Most days I lose the battle but I don’t dwell on it. After all that’s how books get written. L.L. : Can I ask what you’re working on next? Will we see any more psychological fiction from you in the future? I hope! Alexandra Burt: My next novel is psychological suspense, for sure. The Killing Jar takes place in a fictional Texas town. It’s a story about a woman who comes across a barely alive Jane Doe in the woods, prompting her to develop a fixation on missing women. Local cases fuel her obsession but in the end there’s only one case left; a woman who went missing fifteen years ago. There’s no photograph of her, just a hasty composite tucked away in a dusty file. In pursuing questions about the mystery woman, the character exposes her very own obscure past. L.L. : What question should I have asked, but forgot? Alexandra Burt: It’s a question I ask every writer I meet to satisfy my own curiosity; hindsight, were there early signs that you were destined to become a writer? Every single day I have new insights and aha-moments that point towards this career; my obsession with reading (see, here we go again with the obsession), my fascination with crimes (I remember two crimes in my hometown as a child growing up; two girls disappeared, the crimes remain unsolved to this day), asking too many questions, watching people (“will you stop starring already”), and picking up on details that go unnoticed. Just to mention a few. It’s my only regret in life—not having written novels earlier, at a younger age. I wish I’d have more time to grow and develop as a writer. There are just so many stories in my head. L.L. : Thanks so much for being with us today, Alexandra! It was quite illuminating. Alexandra Burt: Thank you for having me, Leslie. It was a pleasure answering your questions. Alexandra Burt was born in a baroque town in the East Hesse Highlands of Germany. Wanderlust got the better of her and days after her college graduation she boarded a plane to the U.S. Eventually ending up in Texas, she married and pursued freelance translations. Determined to acknowledge the voice in the back of her head prompting her to break into literary translations, the union never panned out and she decided to tell her own stories. She is an outspoken animal welfare supporter and her dream is to live in the countryside again, in a farmhouse offering rescue dogs a sanctuary to live out their lives on a comfy couch. Alexandra is a proud member of Sisters In Crime, a nationwide network of women crime writers. She still lives in Central Texas with her husband, her daughter, and two Chocolate Labrador Retrievers. Her short fiction and non-fiction has appeared in various online magazines and literary reviews. Remember Mia is her first novel. She is currently working on her second novel. There is also postpartum bipolar disorder, known as bipolar disorder, peripartum onset in the DSM-5. Postpartum bipolar disorder can often manifest with postpartum psychosis. My postpartum bipolar manifested as postpartum mania and hypergraphia, which is compulsive writing. My book about this experience, “Birth of a New Brain”, will be published by Post Hill Press in 2016. Thanks!! I wrote that comment while working out on my elliptical (on my Kindle) – it’s a bad habit! :0 I meant to explain it better….take care & I send you my best too! 🙂 p.s. it sounds like a fabulous book!